What exactly are you running for? This is the common excuse that I have received when asking around about the upcoming end of year elections. I’m no expert on student governments, but based on what I’ve heard from other students, the majority find the student government system confusing and uninteresting. To those who are active in the scene of school politics, there is a buzz of excitement and an air of ferocity with the conflicting opinions that I have received. Now you’re probably thinking, relax, it’s just student government after all, right? Well, it’s a bigger responsibility than serving on your high school’s student council, considering the difference in the student body that you must attend to. Talk to any of the student executives and you can hear the passion they have for what they do, no matter how challenging. In high school you had to represent the student body that consisted of students in four different grades. With this type of school structure, one student governing body will suffice. A typical undergraduate student will spend four years at their given university, but don’t forget to take into account all seven colleges, the grad students, the part-timers, the residences, etc… and so forth. When it comes down to it, there are several student bodies to contend with. More than one student governing body is necessary for all of the different facets of student life. This poses a problem during campaigns because by the time you have caught a busy student’s attention during your 30-second elevator pitch, you only have about enough time to answer the question of: “What exactly are you running for?” It’s difficult to understand without knowing the student council structure off hand because chances are many students do not know as well as the students who are campaigning. This takes me back to my first year RSM100 “Intro to Management” course where I learned the advantages and disadvantages of centralized and decentralized organizations. Centralized organizations have a less complex structure that allows for greater control over the organization, whereas decentralized organizations have a number of executives taking on very specific roles and have the ability to concentrate on the most important decisions. 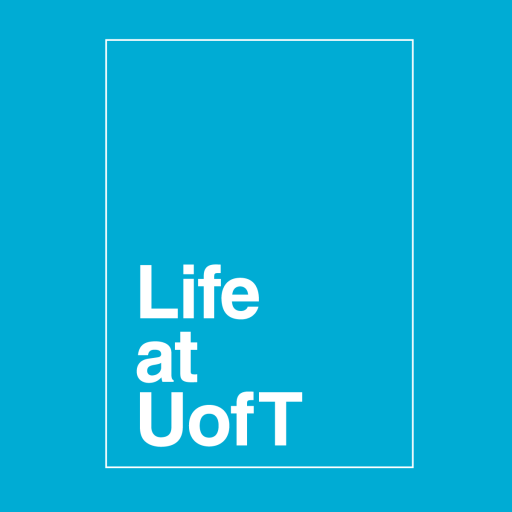 The University of Toronto is an example of a decentralized organization where there are several executives on different reigning councils that each has a specified job in representing and serving the rest of the student body. It really is a big role to take on and it’s a shame that even though our councils represent us, not many students make it a point to get informed and exercise their right to vote. Let’s be real – in several of our high school student councils, a a big chunk of the vote was based on popularity. In the case of our university, where it is hard not to get lost as just another student number, is it possible that these elections are just based off the popular vote? In the 2010 UTSU election, the voting turnout came out to approximately 16.4% of the 44,000 undergraduate population. Why the disappointing turn out? It’s not like voting is a complicated process. It can be easily done online from the comfort of your own laptop with a couple clicks and keystrokes on ROSI. Is it an issue of ineffective outreach or just outright lack of interest? Campaigns may be able to reel in student interest, but sometimes the simple act of actually taking the time to vote is where the interest ends. One election that is going on right now until March the 11th, is the U of T Governing Council election. What is that, you ask? It is basically a senior governing body that oversees the academic, business and student affairs of the university. Strategic planning and implementation is where this important council comes in. They discuss things like finances and major institutional plans that affect the long term plans of our school. The council consists of appointed members and members elected from teaching staff, alumni and students. We have a say in electing who our student representatives are and they will be able to represent us on this council. I was sure to take the time to vote, although I usually would find this process to be out of my reach. I went on the ROSI elections page, read the statements of each candidate, and clicked “Cast Ballot”. That was all there was to it. Imagine how a couple clicks have the potential to make changes. If there’s one thing I want to leave you with: remember guys, not voting says something too – silencing yourself, silencing your say over your rights. Just imagine a big piece of duct tape slapped right over your lips. Okay, it may not be that extreme.. but better to have a say than to stay silenced. So get off your couch and exercise that right to vote! (Or wait… you may not even have to get off the couch!) Happy voting everyone! I second that! As UofT students, we have the right to decide what the candidates have to offer and we should think about the big community in UofT as our family. I am surprised only 16.4% of UofT voted last year!!! The campaigns were strong and come on people you are not blind to not notice the huge posters everywhere!! !